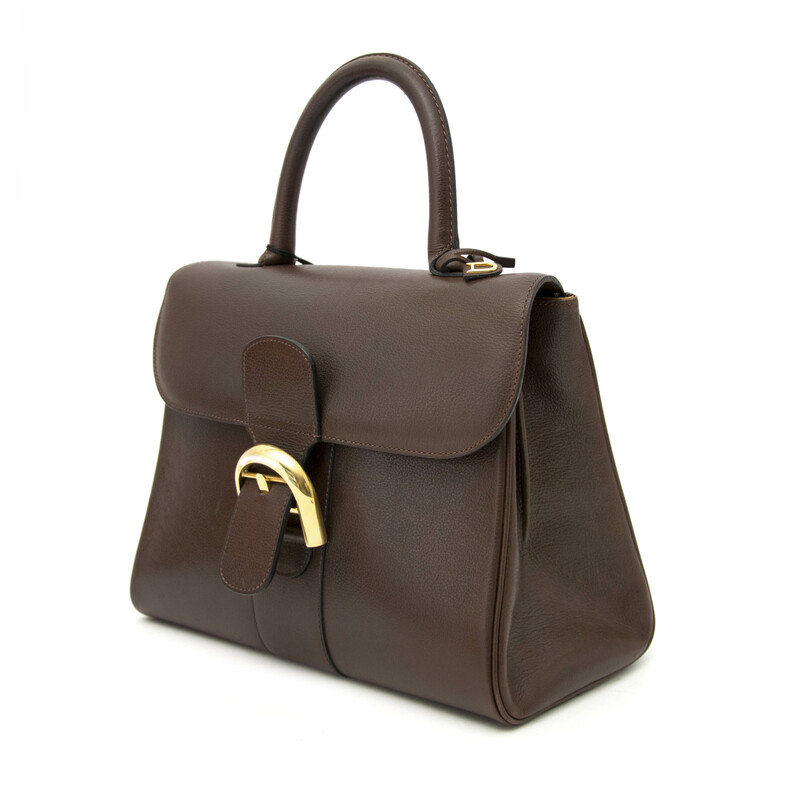 This elegant beauty is made in Brussels. 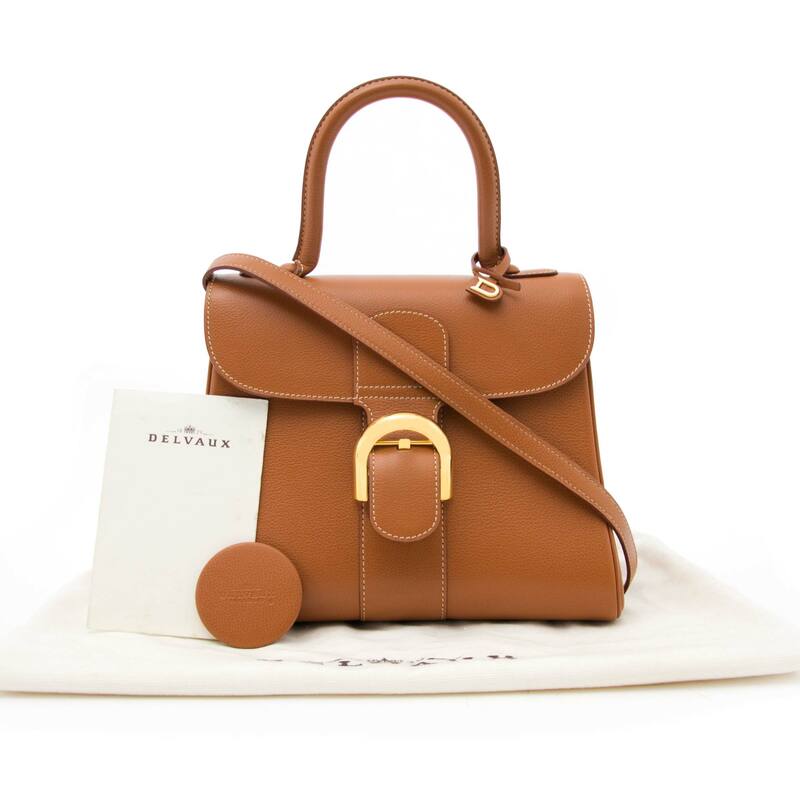 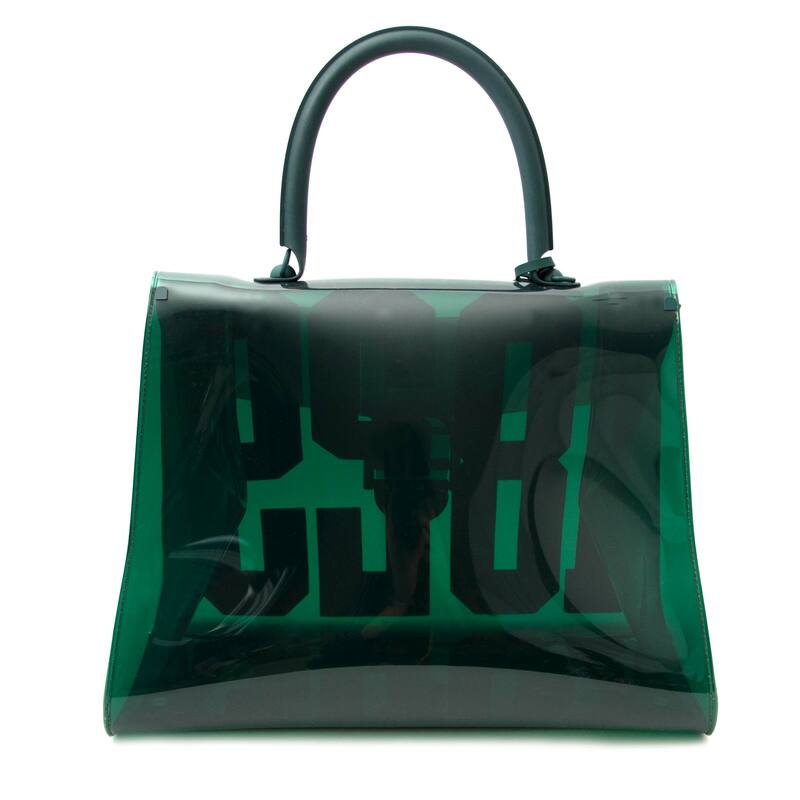 In the year of 1958, an iconic bag was born. 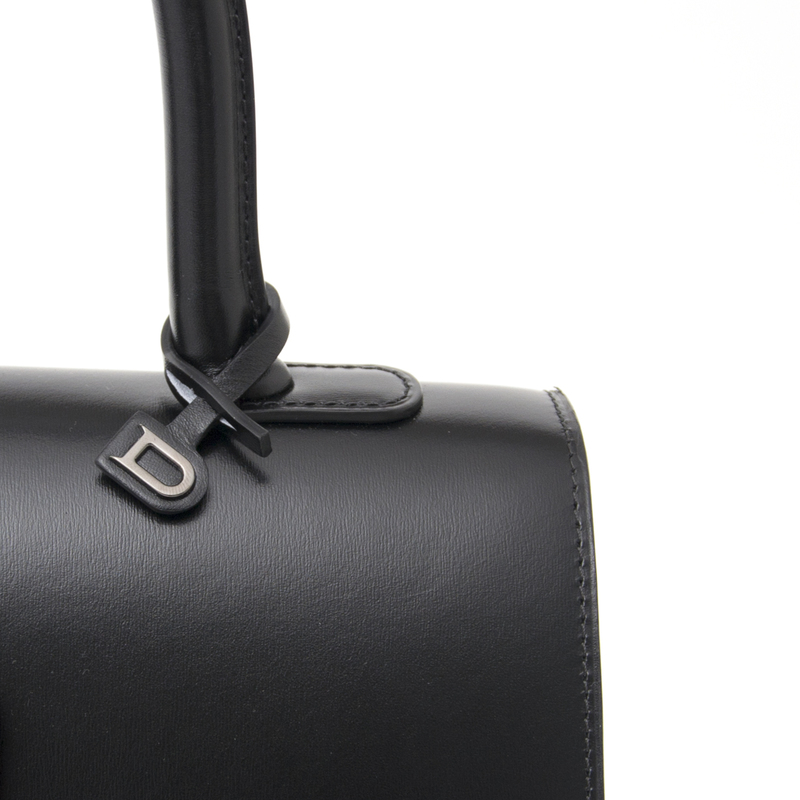 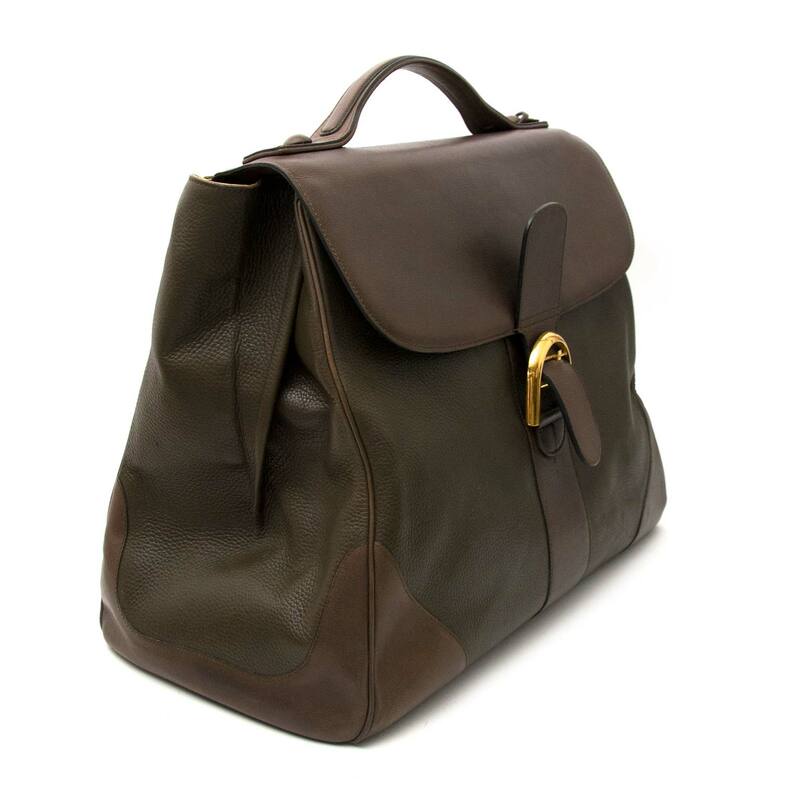 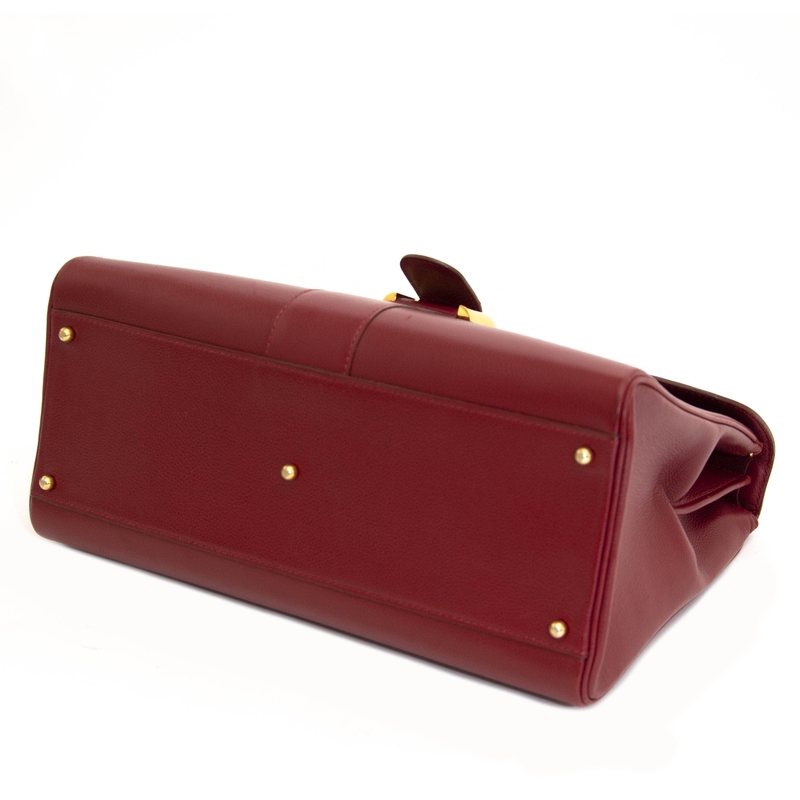 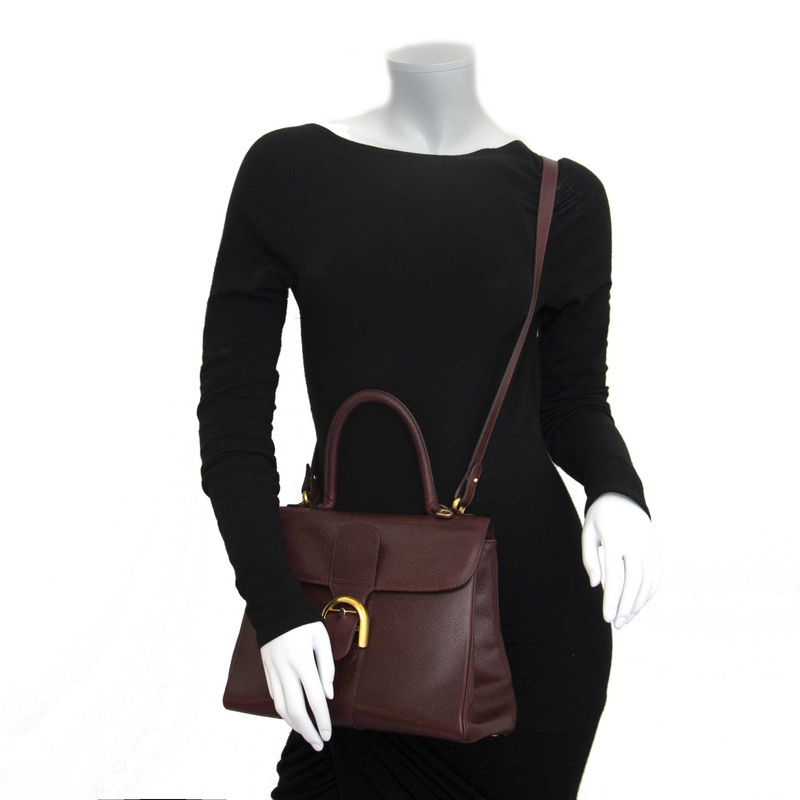 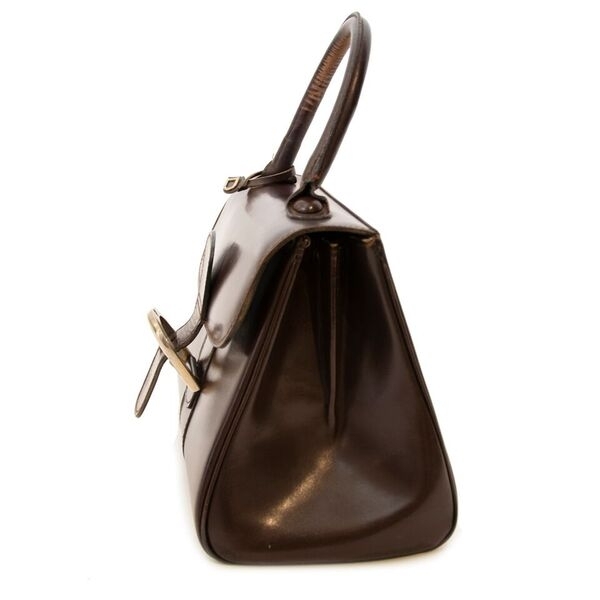 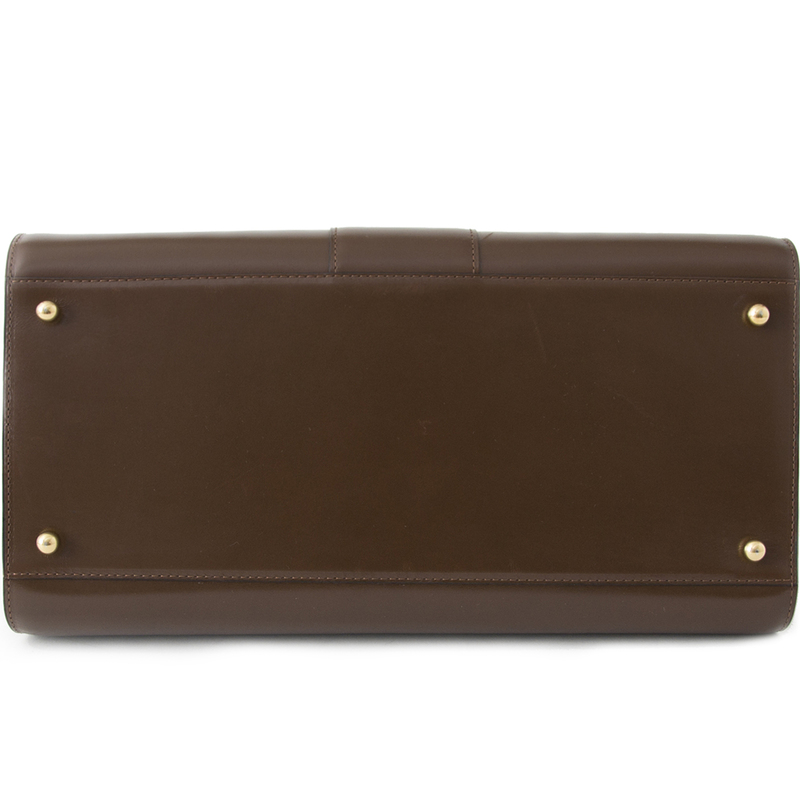 The bag is made out of sixty-four different leather parts and a metal buckle which is the eyecatcher of the bag. 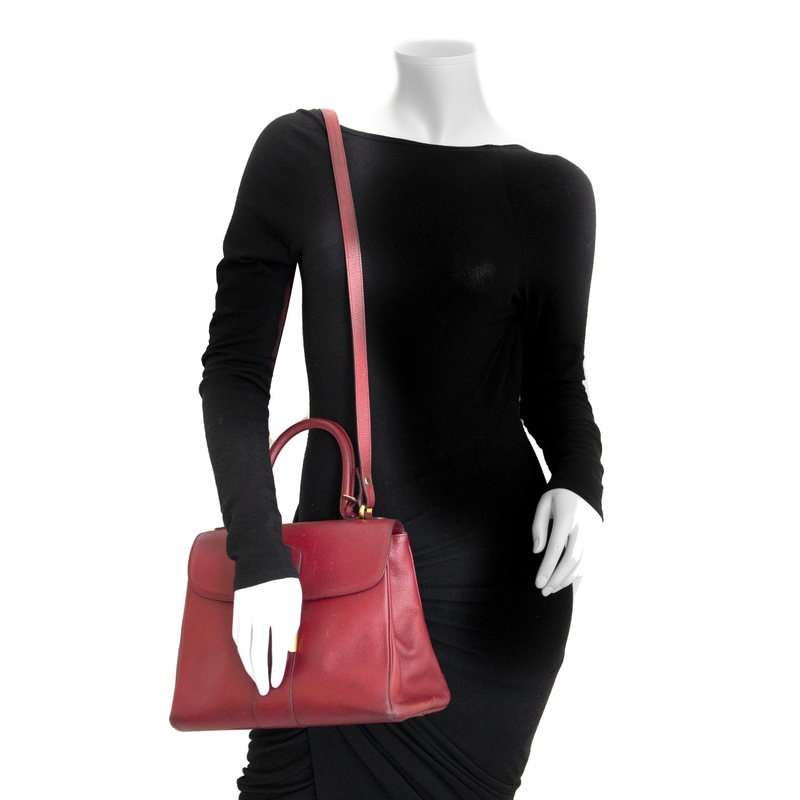 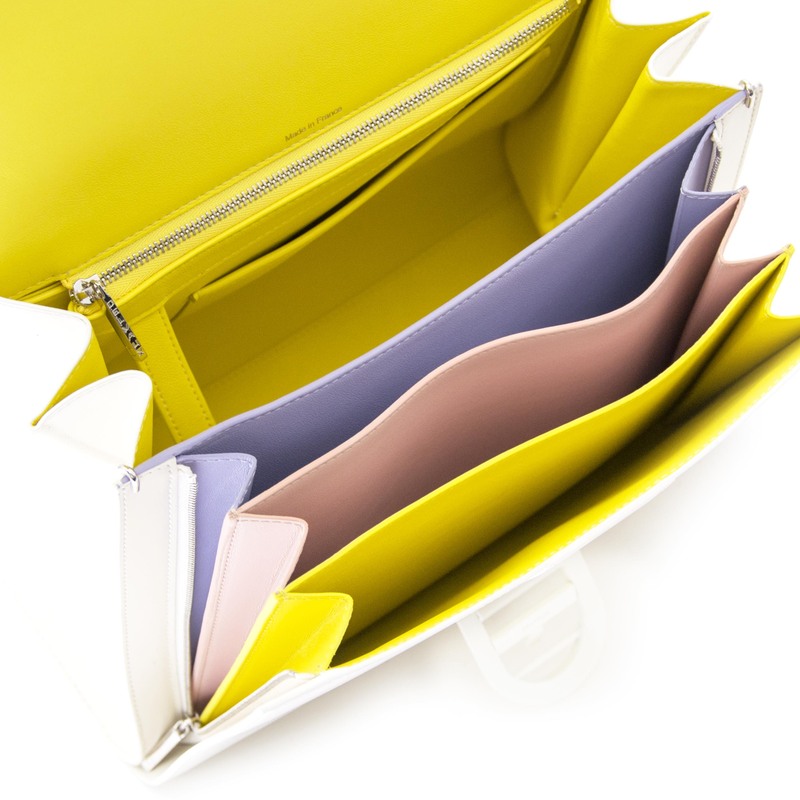 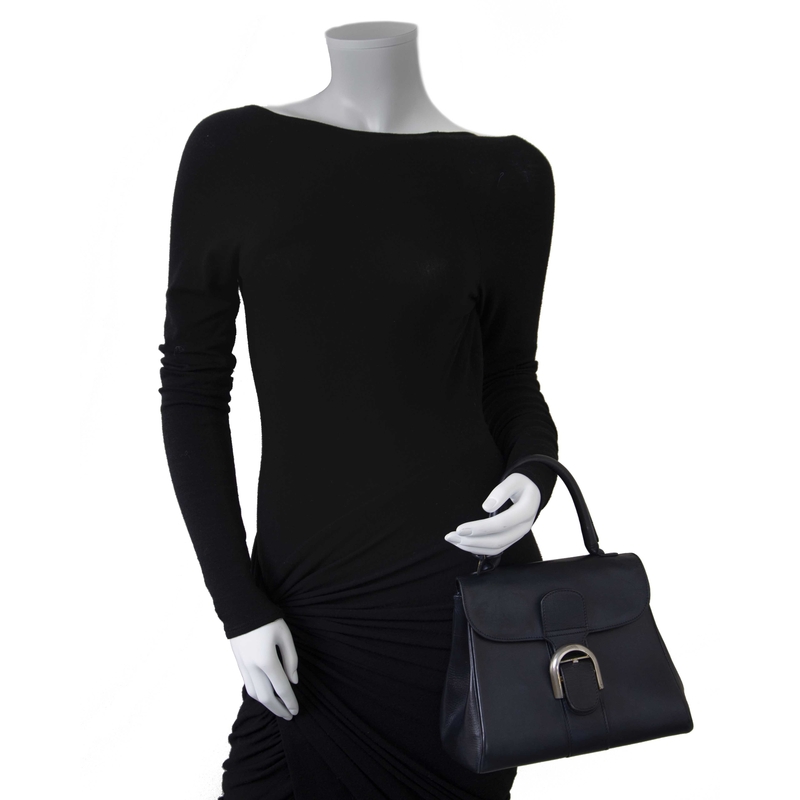 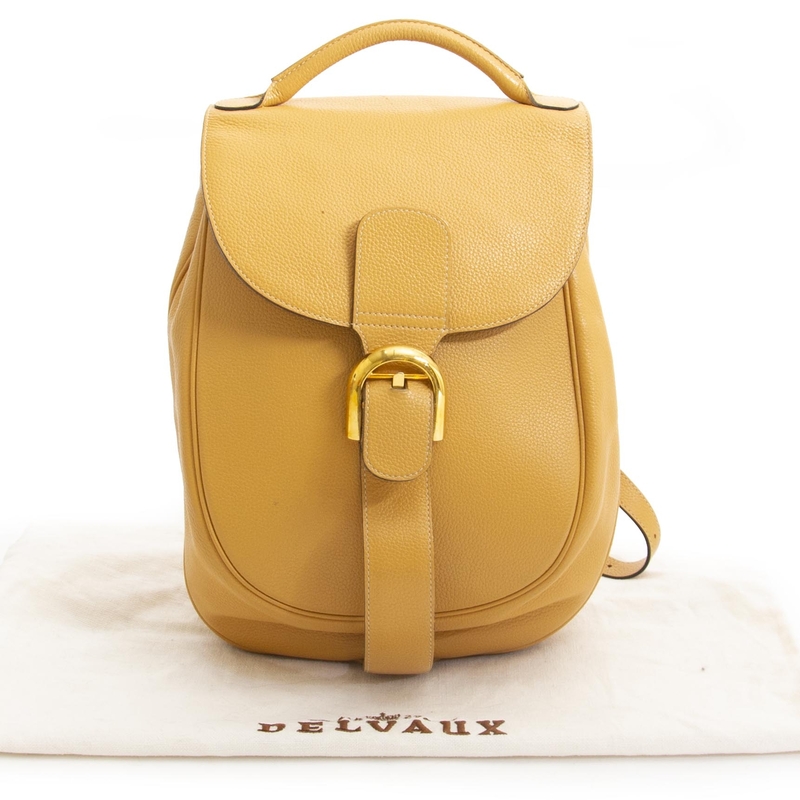 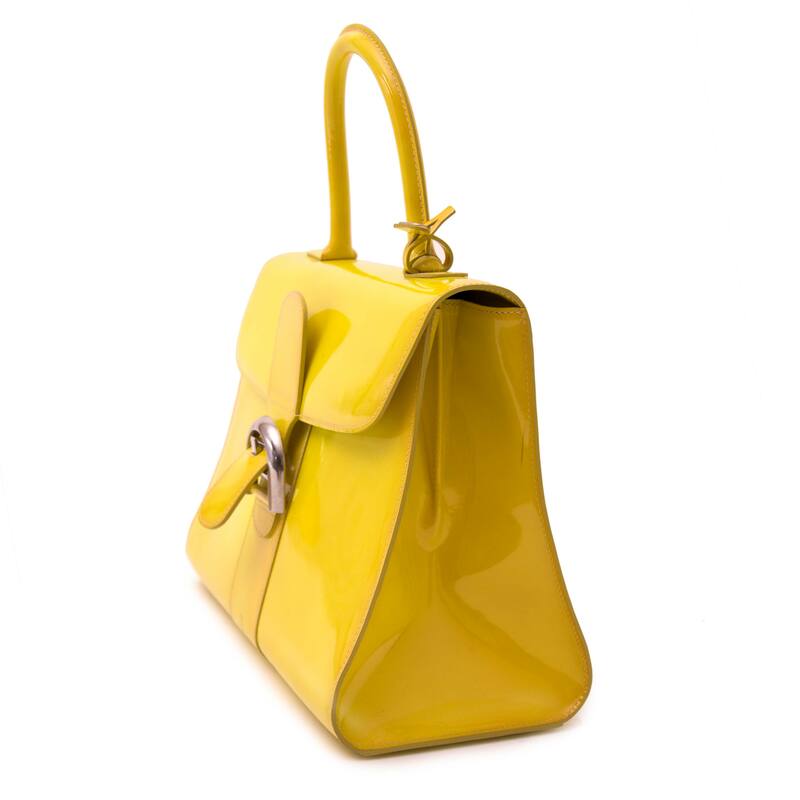 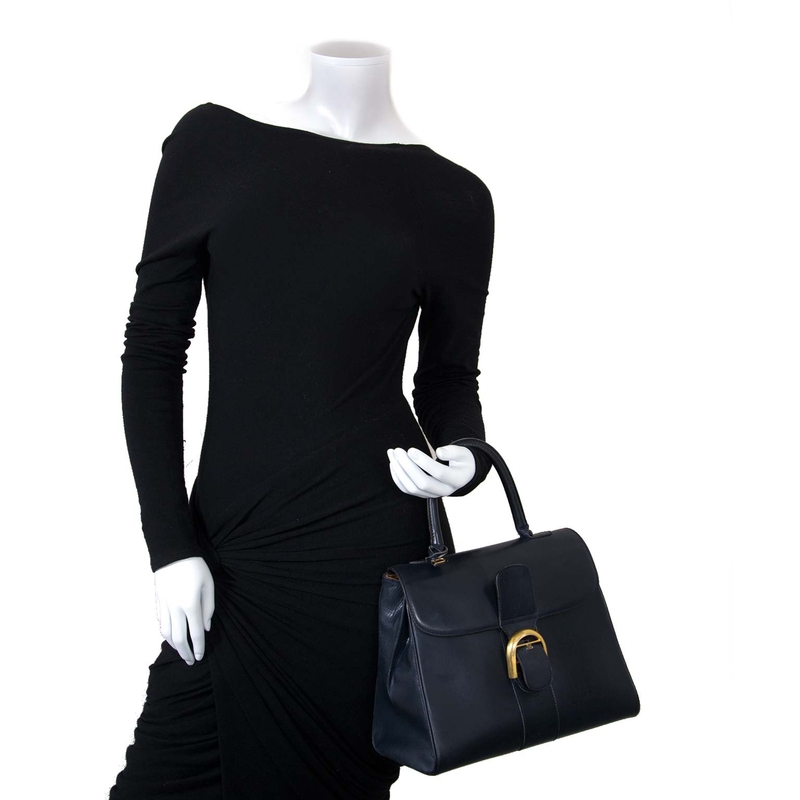 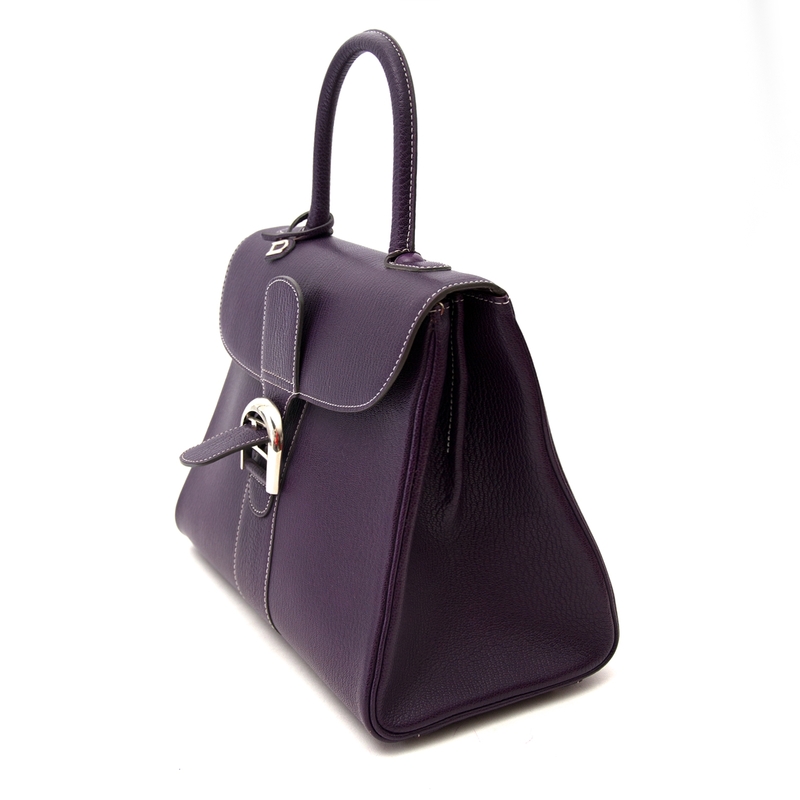 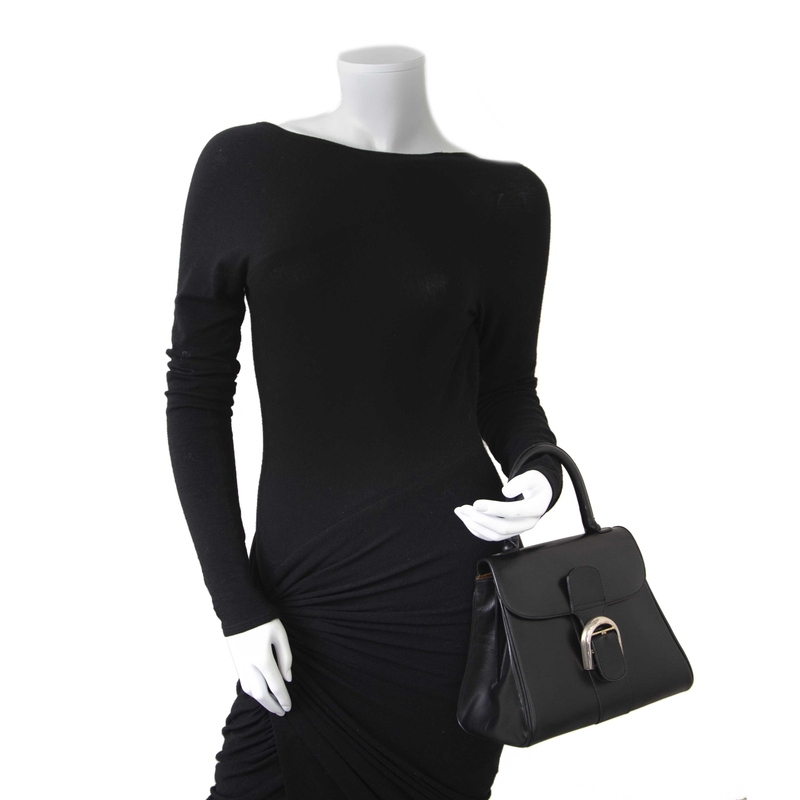 The bag exists in many different colors and sizes, so there's a Brillant for every season! 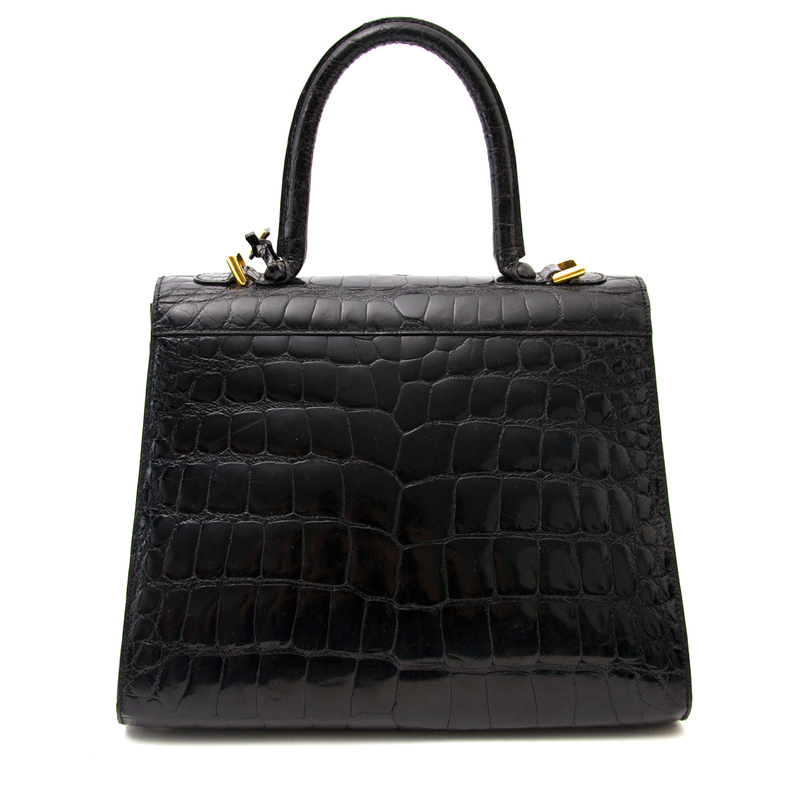 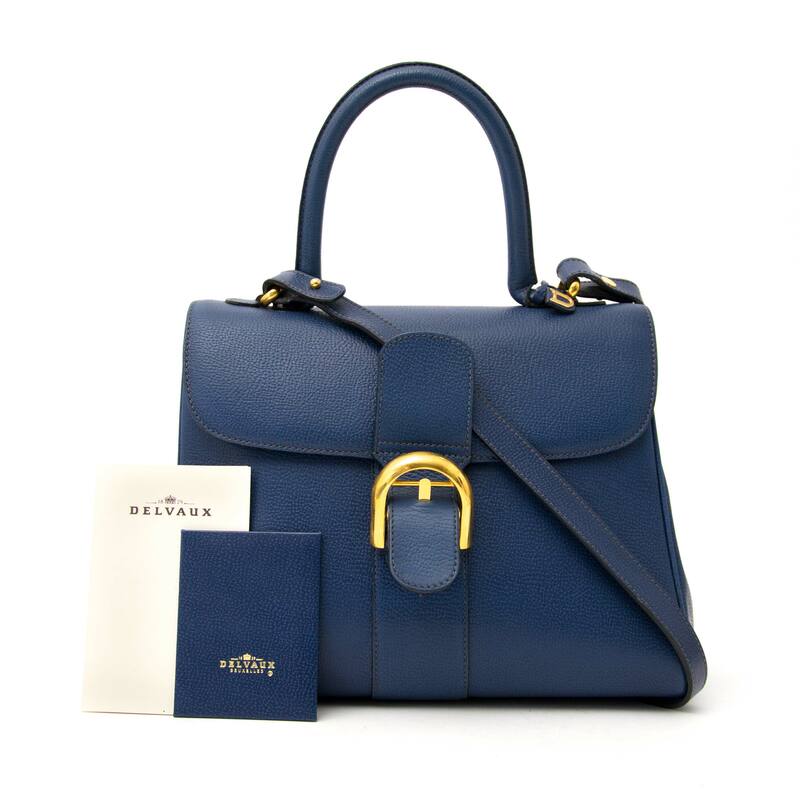 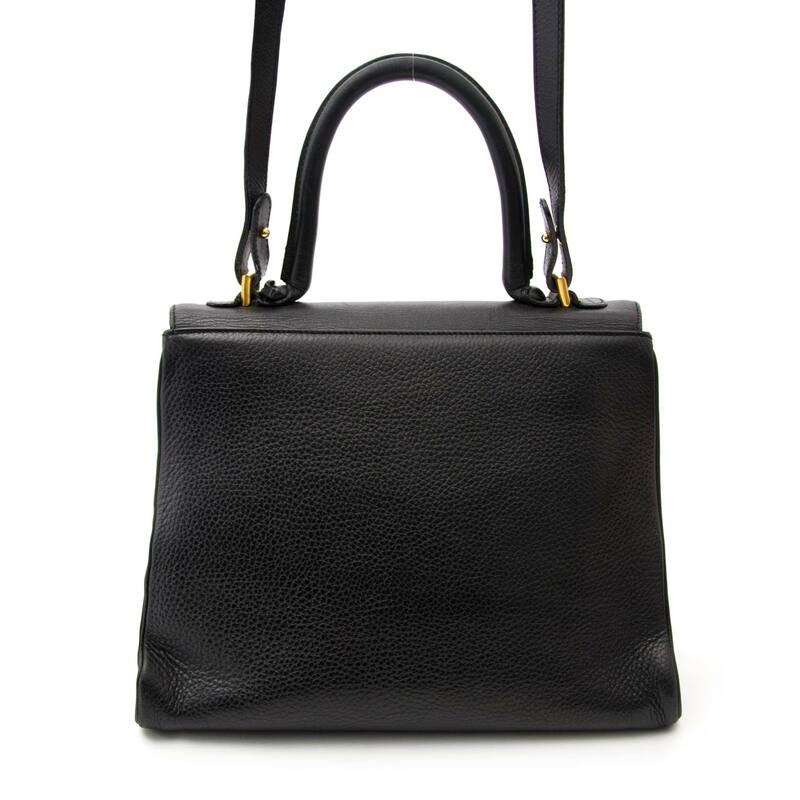 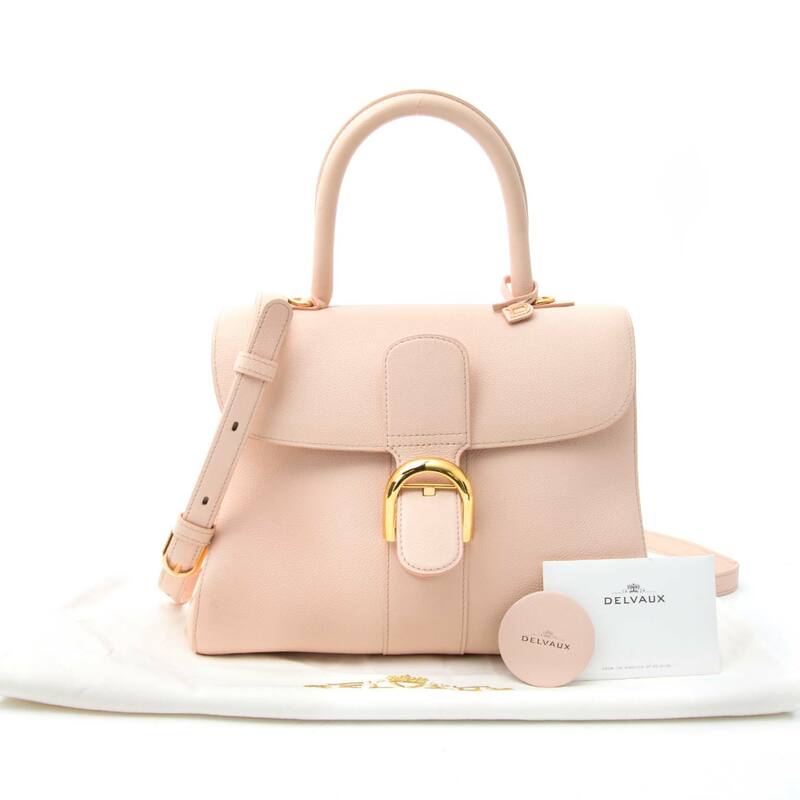 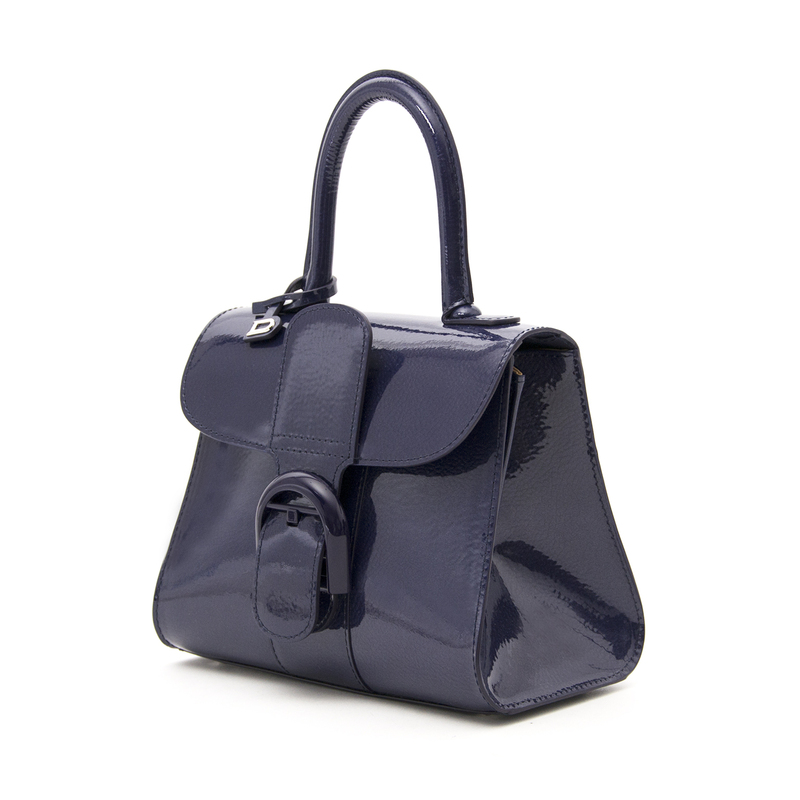 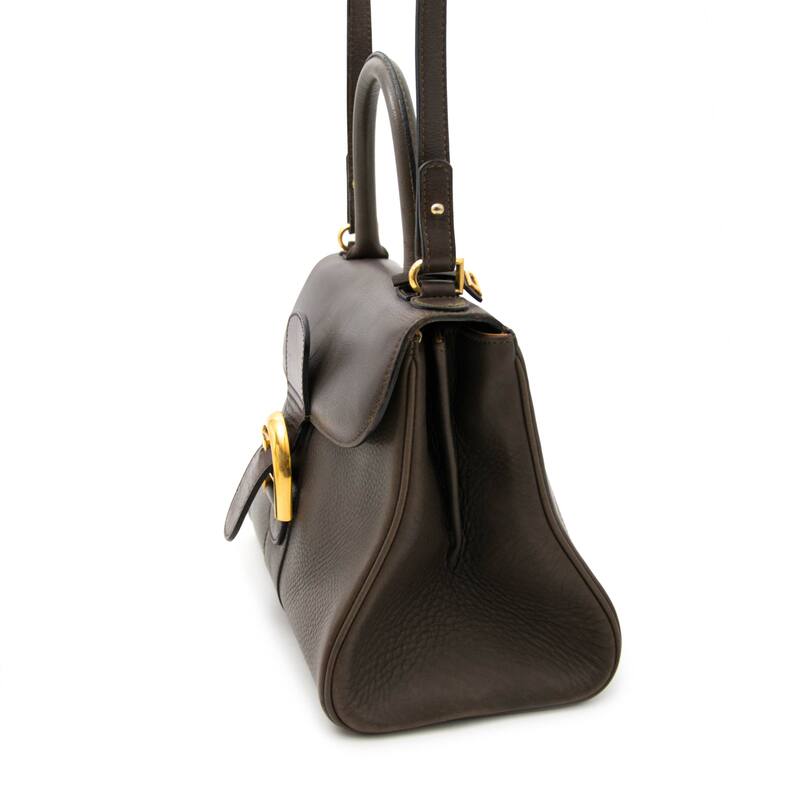 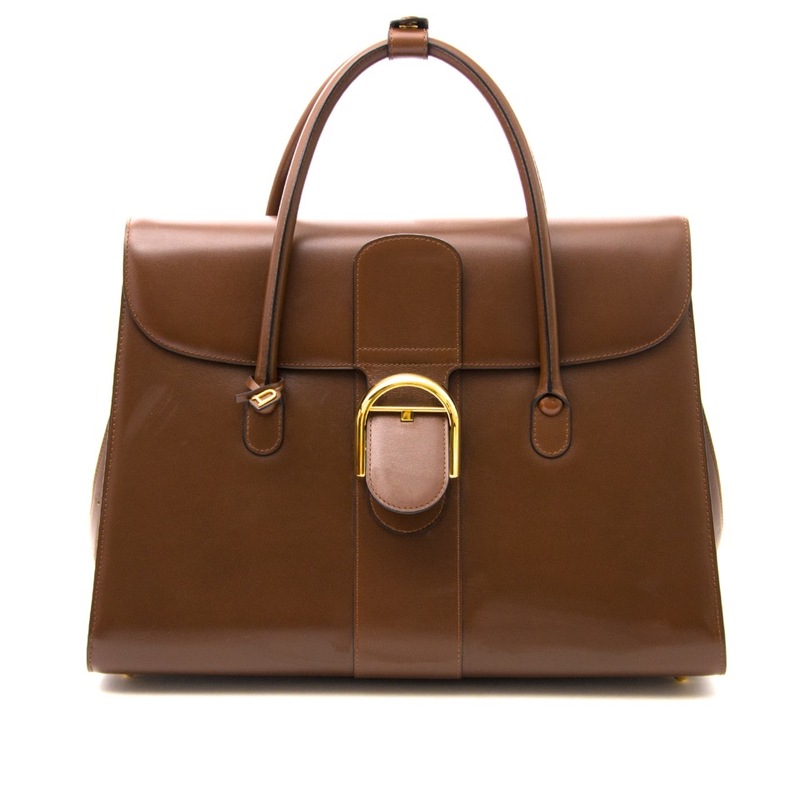 This elegant, feminine and graceful bag will stay timeless forever. 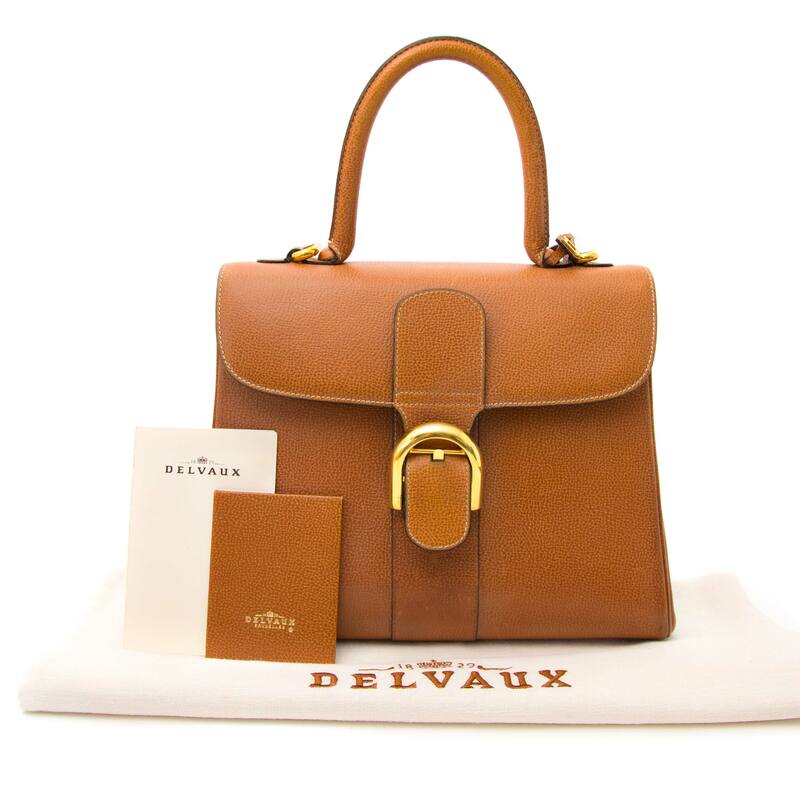 L'Humour Brillant MM "Ceci N'est Pas Un Delvaux"